I have a very exciting news for you all. We are giving away Gift Vouchers to celebrate our first two releases. 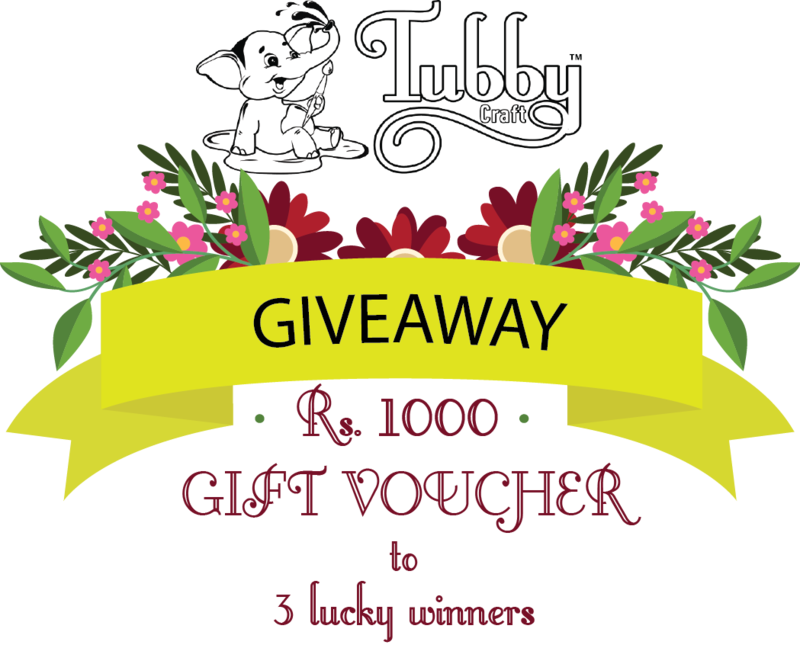 We are giving away Gift Voucher of Rs.1000 each to 3 lucky winners. To enter the giveaway, you need to follow the simple steps mentioned below and also get a chance to be featured on our social media accounts. 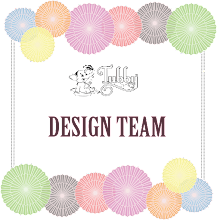 - Share the news with your friends on Instagram (Share Tubby Craft Instagram giveaway post on your respective accounts). Use #tubbycraft #tubbygiveaway with your post. - Like and comment on our giveaway post. - Follow us on Instagram. - Like and share all Tubby Craft's Facebook post keeping your post setting as public. Use #tubbycraft #tubbygiveaway with your post. - Tag minimum 3 crafty friends with your comment. When you are done with all said above, comment "DONE" on Tubby Craft blog post with your favourite stamp set names from our December and January Release and why you would like to win. This giveaway is open till 15th February, 2018. We will select 3 random comment on this post and share the winners on 16th February, 2018. What are you waiting for? Enter the Giveaway now!! All steps done! Thanks for the opportunity to win! Would love to work with your beautiful stamp sets especially with florals which is perfect for every season! My most faves are Perfect you, Baby elephant and butter cup and many more! First of all thanks for a fabulous giveaway!! Though it was difficult to select as all are awesome stamps, but rule is rule. My favourites: tag pattern, penguin love, perfect you and cutie patootie stamp sets. I would love to create albums, cards, tags with ur stampsets especially tag nd perfect one which are all time stamp sets. Done all.Thanks for the giveaway.. All designs are unique and I would love to use them for cards.My favourite are floral invitation, Make a wish, Adorable runner,perfect you,one fun.. Thanks for the awesome giveaway. I really appreciate the unique stamp sets designs. I would love to adorn my craft with your adorable stamp sets especially with Adorable Runner, Perfect you, Butter cup, Manika and many more. I am currently using penguin love stamp on my crafts and they are a delight. These stamps make my crafts amazing and my clients go wow. I just hope i am able to accumulate a lot of these great designs. Keep up the good work. Hi. DONE all the steps. Thank you for this awesome giveaway. I loved your stamp sets from both the releases especially Tags Pattern, Adorable Runner, Perfect You,Make a Wish & Buttercup. Also loved the colors of the dye inks. Winning this giveaway would give me a fabulous chance to own these cute and pretty stamps. Something which I am pretty much looking forward to!